Sometimes this little town of West Monroe does not offer much other than duck calls, famous beards and delicious food. Although I do love this town because it is our home place and a place of comfort. There is nothing like a comfy porch in the quiet country to calm me down and bring me back to peace. But I love to enjoy some glamor and city lights when I crave it. Every once in a while I'll stumble upon a gem in this town that reminds me why I love it, and thats because of the eclectic mix of country and city life all in one. And recently I found just that in Sparrow's A Unique Home Boutique This store is full to the brim with beautiful and unique home decorations, furniture, art and more. I wanted to Spotlight a few of my favorite finds when shopping at the Grand Opening recently. 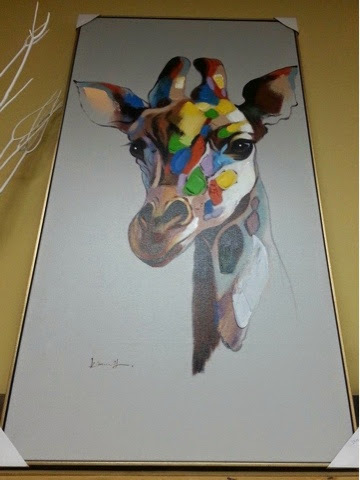 The first piece I fell in love with was this beautiful abstract giraffe painting in a thin golden frame. 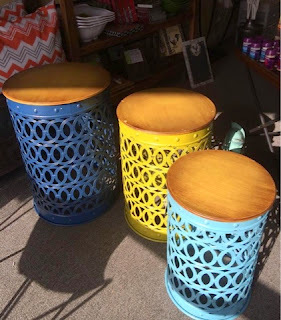 Then there were these adorable tables mixed with painted metal and natural wood. Mixing metals and wood is extremely popular for home decor this season. As well as mixing different metals, do not be afraid to pair bronze, silver & gold metals together. Next is this entire corner and collection. It doesn't get more perfect than the metal painted abstract chair, peacock painting and industrial wood table. And finally who doesn't love trendy throw pillows. 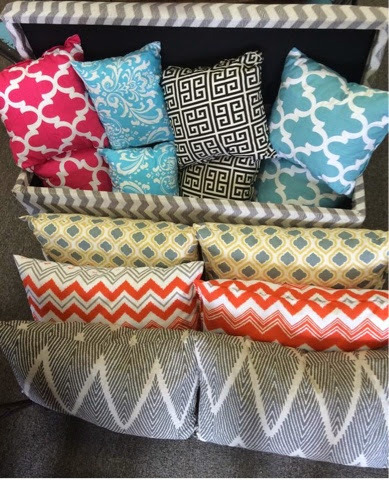 Sparrow's has many prints ranging from Chevron, Lattice, Damask and more. Like them on Facebook to stay up to date on inventory and a chance to win one of the many contest available.